The DJI Osmo Pocket Charging Case is a portable power bank for the Osmo Pocket Gimbal, allowing you to charge the gimbal on the go. What's special about it is that instead of connecting to the gimbal via a cable, like power banks normally do, it's designed for you to neatly place the gimbal inside of it, like you would a battery into a battery slot. The case provides 1500mAh of charging power, and it's rechargeable via a USB port when it's out of power. It requires an optional micro-USB Type-B cable for charging, the kind used to charge most smartphones. The compact case also serves as a storage solution after it's done charging the gimbal so the two take up less space in your bag. It doesn't only hold the gimbal but also two microSD cards, four ND filters, and two smartphone adapters. The case features a spin-to-open design that allows you to use it conveniently and efficiently. 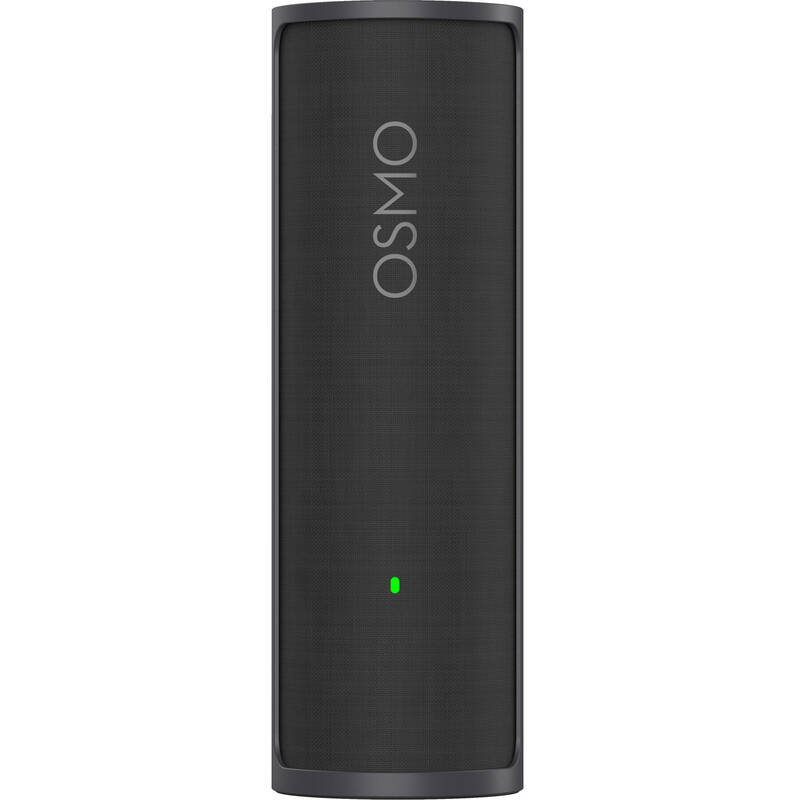 Osmo Pocket Charging Case is rated 5.0 out of 5 by 1. Rated 5 out of 5 by Mikael from Pretty handy case I just got the charging case and tried it for a couple of days. The case is small. About half an inch longer than the Osmo itself, round with a about a 2 inch diameter. Its sturdy and made of aluminum with a fabric textured front. It opens neatly and slowly by sliding a button. The case came with some charge and takes about 20 minutes to recharge with a USB C connection in the bottom. It doesnt come with a cable, so you use the cable that came with your Osmo. The case charges the Osmo after you close it. Inside the case youll find space to fit two filters, two memory cards and both of the phone adapters that came with your Osmo. You need to remove the phone adapter before putting in the Osmo. The case also have a small lever than secures the Osmo inside. Would I buy it again? Yes I would.